Home » Bollywood News » Dishoom: Watch out for Varun Dhawan, John Abraham's 12-minute long chopper chase scene! 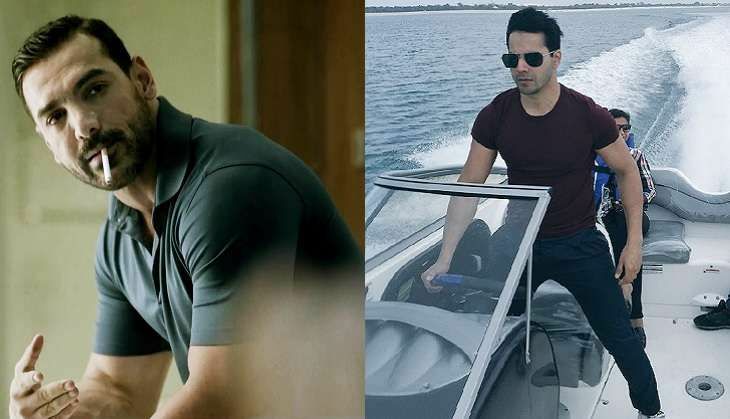 The theatrical trailer ofDishoom provided a glimpse of the film's plot, where Indian spies John Abraham and Varun Dhawan are on a mission to rescue top India batsman Viraj who goes missing hours before the all-important India vs Pakistan encounter. Heavy duty action sequences on ground, air and water have been shot for the film. An exciting 12-minute chase sequence comprising choppers, speed boats and cars has also been shot for the same. Reportedly, the chopper chase sequence is one of the most complicated scenes shot in Bollywood history and the makers have purposely refused to reveals anything about the sequence in the trailer. Sources reveal that the chase sequence is one of the costliest in Bollywood history. Produced by Sajid Nadiadwala, Dishoom is directed by Rohit Dhawan. Also starring Jacqueline Fernandez and Akshaye Khanna, the movie releases on 29 July, 2016.